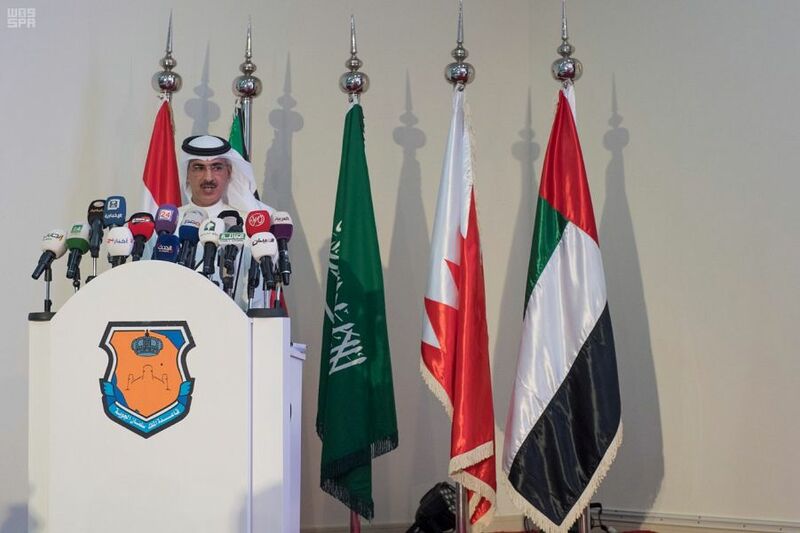 The official spokesman of the Joint Incidents and Assessment Team (JIAT) in Yemen Counselor Mansour Al-Mansour reviewed the results of seven recent completed reports. 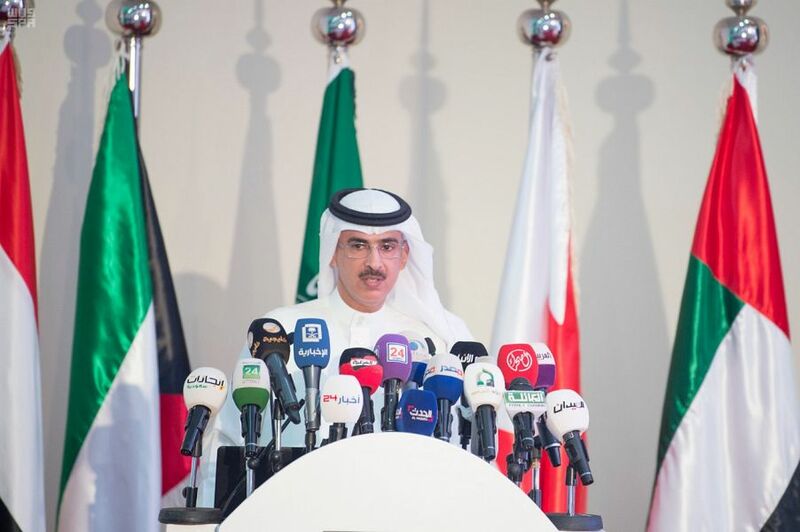 Counselor Al-Mansour referred to the UN reports issued by international organizations, explaining that JIAT has its views and decisions on the reports issued by the UN and it responds to them through public conferences. JIAT welcomes the UN committees and is ready to discuss with them the reports issued by the team. 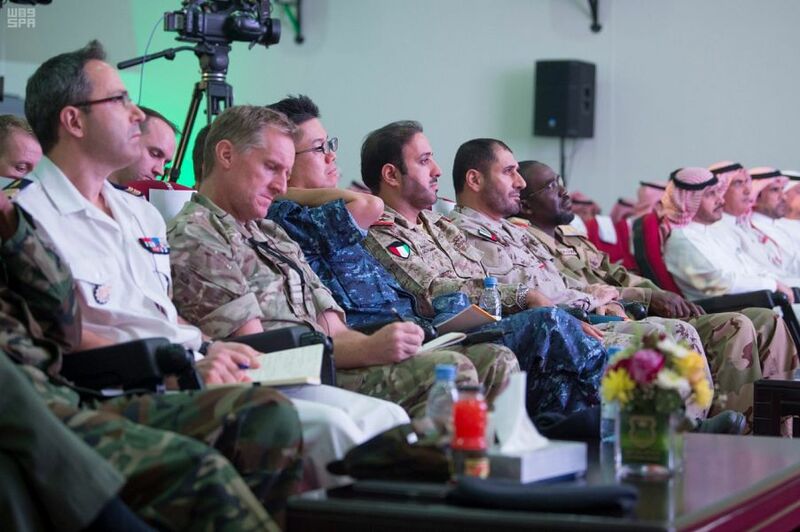 This came during a press conference held today at King Salman air base in Riyadh. 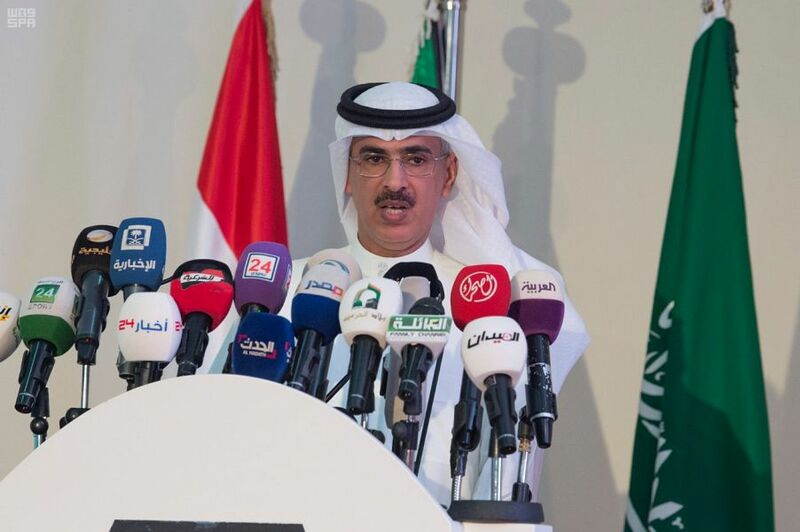 Counselor Al-Mansour confirmed that JIAT joins organizations rejecting violations that happen during the military operations, pointing out that the JIAT founded by initiative from the coalition countries, and has independence and impartiality, as it stands at a same distance from all parties to the Yemeni conflict. During the conference, Counselor Al-Mansour reviewed seven cases, the first of which was the 86th according to the sequence adapted by JIAT. The United Nations High Commissioner for Human Rights report in August 2016 alleged that on 7 July 2015, a plane dropped a bomb on Al-Wahat Mosque, in Lahij governorate, which killed 10 people and wounded 15 others. He pointed out that based on the procedures followed by JIAT in the subject of verification procedures after JIAT saw all documents related to this incident and the assessment of the evidence, JIAT found that the coalition forces carried out an air mission on a militant target which is about 300 meters away from the Mosque. Counselor Al-Mansour stated that after the JIAT saw the satellite images, they found that the building was destroyed before almost two months from the date of the allegation. He added that JIAT concluded that the coalition forces had not targeted Al-Wahat Mosque, as well as the integrity of the procedures followed by coalition forces in targeting the building (civilian objects) and that it conformed to international humanitarian law and customary rules. In the case of 87, the spokesman for JIAT in Yemen stated that the Human Rights Watch report in November 2015 alleged that on 12 May 2015, at about 04:15 pm, a plane dropped five bombs on Shaja'a market in the village of Zabid, Al-Hudaydah Governorate, which led to the death of 60 civilians and injuring at least 155 others. Human Rights Watch inspected the site 26 July 2015, and reported that three of the bombs hit a three-storey building in the middle of Shaja market, where the first bomb hit a candy store in the building, the second bomb hit a restaurant on the ground floor of the building, and the third bomb hit the second floor and caused it to collapse. The explosions destroyed two other buildings with another restaurant and four grocery stores. He pointed out that based on the procedures followed by JIAT in the subject of verification procedures after JIAT saw all documents related to this incident and the assessment of the evidence, JIAT found that there were no air missions throughout Al-Hodeidah province, includes the village of Zabid, on the date of the allegation 12May 2015, as well as the day-to-day operations of the Collation Air Force. In light of this, JIAT concluded that coalition air forces had not bombed Shaja'a market in the village of Zabid. In case No. 88, the spokesman for JIAT in Yemen stated that the Human Rights Watch report in June 2015 alleged that on 5 May 2015, at about 10:50 pm, a plane dropped three bombs on the cultural center in Saada and a nearby house, which led to the death of 28 people and injuring three others, including 27 from one family. The director of the cultural center reported to Human Rights Watch that the center is used for local celebrations and theater performances and is used as a library, in addition to the local radio station for Ansaarullah group in Saada and which is called (Msairah FM) and used to guide Military forces, but Human Rights Watch, after listening to some of the radio station's programs, found no evidence of its use for that purpose. Noting that the incident assessment team had verified the incident and that after the Panel had been informed of all the documents, including the procedures and rules of engagement, the air mission inventory, the post-mission report, video recordings, satellite imagery and evidence assessment, the panel found that on 5/5/2015, the air coalition forces carried out an air mission using a number of bombs on a military target (the cultural center in Saada city), where the verification criteria were available for its military use. The Houthi armed militias seized and controlled it as well as the presence of (the leaders of the Houthi armed militia and the former president) and its use as headquarters for the radio (Mmasairah FM) in (military media broadcast) of the Houthi armed militia, in addition to the broadcast of radio interviews with the Houthi leaders, and accordingly legal protection of the civilian objects, the cultural center, fell because it was used to contribute to the military action, which is considered a legitimate military object whose destruction is a military advantage. The team found that by looking at the videos of the carried out mission that two bombs hit the target, the third bomb fell on a house near the cultural center incidentally due to a technical failure of aircraft systems, resulting in material damage. In light of this, the Joint Team concluded that the targeting of the military center (civilian objects) was consistent with International Humanitarian Law and its customary rules, and the Joint Group found that the bomb fell on one of the houses because of a technical defect of the aircraft systems. The joint team sees that the coalition countries provides voluntary assistance for human losses and material damage. In case No. 89, he stated that with regard to the report of the International Red Cross Regional Mission of 3/4/2017, which included that the coalition forces launched attacks on civilian fishing boats along the Yemeni coasts of the Red Sea on 22 February 2017, two helicopters intercepted 2 fishing boats 2 nautical miles off the coast of one of the Yakhtal; one of the two helicopters bombed a fishing boat, killing one person and wounding two. He said that the Joint Accident Assessment Team verified the incident and, after reviewing all the documents, including the air and sea procedures and rules of engagement, the daily mission inventory and coalition inspection procedures, the operational records and the logistics records of the Coalition Forces vessels in southern Red Sea on the day of the claim and hearing of the statements of the commanders of ships in the area of operations at the date of the claim, the joint team found that the coalition forces did not carry out any military operations in the area of the claim on Wednesday 22/2/2017, and after review of recordings of the previous day, 21 February 2017, the team found that a military aircraft attached to a coalition ship carried out an air mission on a boat located on a Red Sea island, which is located at a distance of 39 nautical miles away from the location of the claim, for the following reasons: A- Based on the security warnings issued to the ships of the coalition about the threat of being targeted by booby-trapped boats, it dealt with the boat in order to avoid the danger to the coalition forces after confirmation of the absence of persons, B- The presence of the boat on an island which was empty of population, raising doubts about its purpose and the purpose of its presence, especially that it was present at the area of maritime operations. On the subsequent date of the claim on Thursday, February 23, 2017, the Joint Accident Assessment Team found that no coalition military operations took place in the area under investigation. In light of this, the Joint Accident Assessment Team found that the coalition forces had not targeted civilian fishing boats along the Yemeni coast in the Red Sea. The Joint Team believes that, despite the threat to maritime navigation in operational areas and security warnings, the Panel found no evidence that the boat posed an immediate threat to the naval forces, as it had no dangerous elements on board and that it was on a remote, uninhabited island. For these reasons, the Panel recommends that the coalition countries provide voluntary aid to the owners of the boat that was targeted. In connection with case No. 90 and to Human Rights Watch's report in November 2015, that at about 2 am, an air strike killed at least 16 civilians and wounded 16 others in the town of Yarim (120 km) south of (Sana'a), Human Rights Watch inspected the site on July 22. The raid partially damaged 11 residential buildings of one storey, and one two-storey building. The HRW found that the site is 200 meters from the entrance of the brigade (55) artillery seized by the Republican Guard forces of the former president. Local residents told the organization that at about 1:30 am (3) strikes his the military base, between the first strike and the other ten minutes, the fourth strike hit the residential area, and another resident said he heard a fifth explosion after (10) minutes, and it hit the military base, coordinates are attached to the claim. He said that the Joint Accident Assessment Team verified the incident and, after reviewing all the documents, including the procedures and rules of engagement, the schedule of daily tasks, the satellite imagery and the assessment of the evidence, the Joint Group found that the houses in question were located in the north of the city of Yarim, north of the province of Ib. After examining the list of daily tasks for the claim day (July 19, 2015), the joint team found that the coalition forces did not carry out any air missions on the city of Yarim, and there was no aerial mission of the coalition forces inside Yemen between 01:30 - 03:00, local time according to the date of the claim. It was also clear to the team after returning to the schedule of daily tasks of the day preceding the prosecution and the following day (18-20 / 7/2015) that there were no air missions on the city (Yarim), and by watching the satellite images of the camp of the brigade (55) they showed the presence of the effects of bombing and after searching the records of the tasks, it turned out it had been bombed previously (14 April 2015) by the Coalition Forces, three months before the date of the allegation. In the light of this, the Joint Team concluded that coalition forces had not carried out any air missions on the day of the claim on the city of Yarim in Ib province. He pointed out that in case No. 91, which relates to a report by the International Committee of the Red Cross that two air raids targeted the city of (Saada) at 11:50 am on 9/4/2018, one of which hit a welding workshop on the road of Bin Salman and the other hit the Higher Institute of Medical Sciences, which is located in Al Salam Hospital complex. As a result, 3 civilians were killed and 19 others, including children, were injured. The report also states that the welding workshop and the Higher Institute of Medical Sciences are located in a populated area 170 meters away from the office of the Committee, while the Institute is located 250 meters from the Committee's residence. Two cars parked in the office of the Committee were damaged by shrapnel. He drew attention to the fact that the accident assessment team verified the incident and after reviewing all the documents, including the procedures and rules of engagement, the daily tasks inventory, the post-mission report, satellite images, video recordings and evidence assessment, found that according to intelligence information about the presence of one of the Houthi leaders listed on the wanted list in a specific vehicle, the coalition forces carried a task of surveying and monitoring of the vehicle, and turned out to be a vehicle moving quickly and maneuvering to avoid targeting and after the observation and follow-up by the performing air crew and which is a military legitimate target of high-value whose targeting achieves a military advantage. On Monday, at 11:11 am on 9 April 2018, coalition forces carried out an air mission on the target (the vehicle of a leader of the armed Houthi militia) using one targeted bomb which hit the target. Because of the maneuvers of the target and attempt to hide inside the residential neighborhoods, the (welding) workshop in the claim suffered collateral damage, the team found that the Higher Institute of Medical Sciences was one of the places whose targeting if prohibited by the Coalition forces and 200 meters away from the site of targeting and was not targeted and was not affected by the bombing. He added that in light of this, the joint team concluded that the ICRC report was wrong in stating that two air raids targeted the welding workshop and the Higher Institute of Medical Sciences by the coalition air force. They also were assured of the soundness of the actions taken by the coalition air force in dealing with the legitimate military target in accordance with international humanitarian law and its customary rules. The team also sees fit that the coalition countries provide voluntary assistance for the losses suffered by the welding workshop. The Legal Counsel stated that in case No. 92, as reported by the media and the statement of the United Nations High Commissioner for Human Rights issued on April 24, 2018 that the coalition forces, on 22 April 2018, at about 8:30 pm, launched an air strike at a wedding in Bani Qais district in Hajjah governorate and that preliminary investigations conducted by the staff of the Office of the United Nations High Commissioner for Human Rights in Yemen indicated that the two air raids killed at least 19 civilians and injured 50 others, mostly children and the coalition's two raids destroyed a wedding tent built on a civilian house while the victims were celebrating the marriage of a relative. He reported that the incident assessment team had verified the incident and that the team had been informed of all the documents, including procedures and rules of engagement, and after examining all the incident documents, including the daily tasks inventory, the air mission command, the post-mission report and the video recordings of the executed mission, aerial conversations with the airborne crew, aerial and space imagery of the target site, the rules of engagement of the coalition forces, interviewing and listening to statements by those involved in the operation carried out and based on the principles and provisions of international humanitarian law and its customary rules and after the evaluation of the evidence, the joint team found that on Sunday evening, 6 Sha'ban 1439 AH corresponding to 22/4/2018, the coalition forces received information from the Yemeni interior confirming the presence of foreign ballistic missile experts with one of the known Houthi leaders in a specific location in Hajjah governorate. The coalition forces had previous information on the arrival of ballistic missile experts to Yemen through the port of Hodeidah. Since the province of Hajjah saw seven cases of ballistic missile firing on Saudi territories, the coalition forces carried out a reconnaissance mission to the coordinates from the source. 3 persons, two vehicles and one thermal source were observed beside a building, which is a legitimate military target. The building was targeted at 8:10 pm in the evening with a single guided bomb which hit the targeted building. after seeing the videos of the mission, the joint team did not find the tent of the target area and no signs of civilian gatherings that suggest that there is a celebration ceremony in the target area. In light of this, the Joint Team concluded that the coalition forces did not target the wedding tent at the claimed place. After reviewing the results of the operation and the actions of the coalition forces, the Joint Team found a number of errors indicating non-compliance with some of the Rules of Engagement procedures to minimize damage which caused collateral damage to the tent in the claim as a result of the bombing of the target building. The Joint Panel recommends that legal measures be taken to hold perpetrators accountable and provide assistance for the damage and losses resulting from this operation.